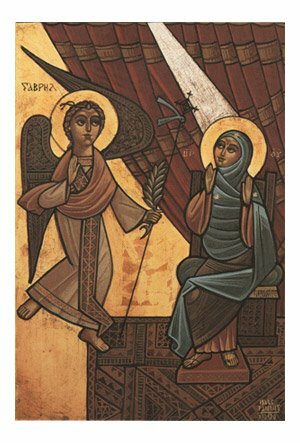 The Annunciation has been a major theme in Christian art, in both East and West. Innumerable sermons and poems have been composed about it. The term coined by Cyril of Alexandria for the Blessed Virgin, Theotokos (“the God-bearer”), was affirmed by the General Council of Ephesus in 431.